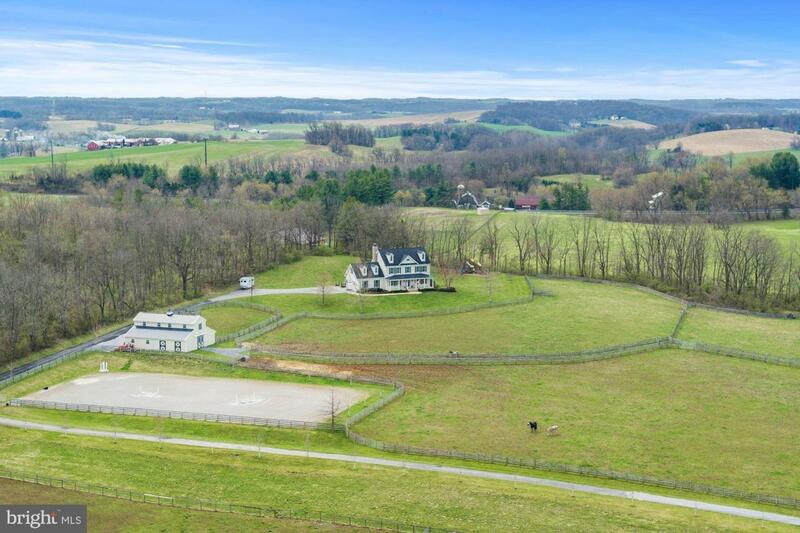 Pristine, lovely custom-built home on almost 9 acres with fenced pastures, a 5-stall barn, and riding ring that are just as immaculate and gorgeous as the home. 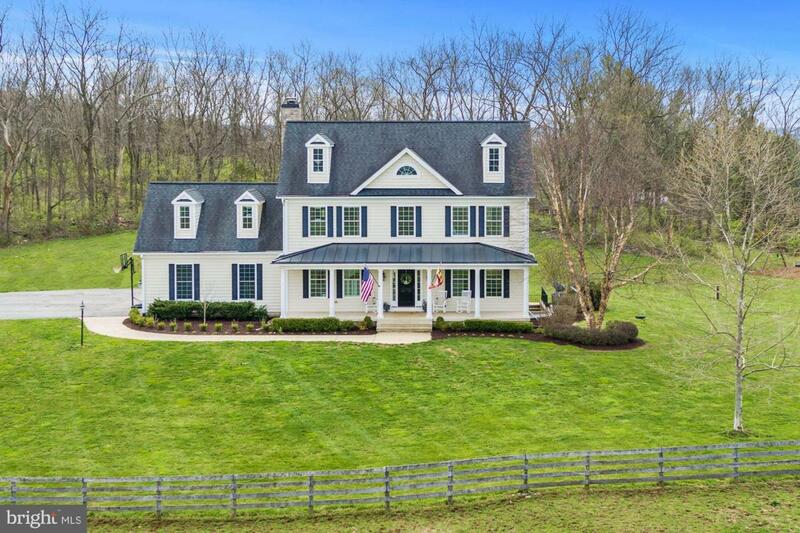 Over 3,000 sf of living space, the home boasts 5BR/3.5BA with an open concept, gorgeous first floor with lots of natural light, a huge deck perfect for entertaining, and farm house front porch. Gourmet, high-end kitchen with island, dining area, living room, and study/den with hardwoods throughout. Wood burning fireplace, large custom windows, and crown molding all give this home the quality touches you'd expect that make it so special. Upstairs, find a large light-filled master suite with large walk-in closet, jetted tub, and large walk-in shower.. 2 more bedrooms, a full bath, and a LARGE "bonus room" with cloests & extra storage that can be used as another bedroom, office, game room, or family room complete the second floor. 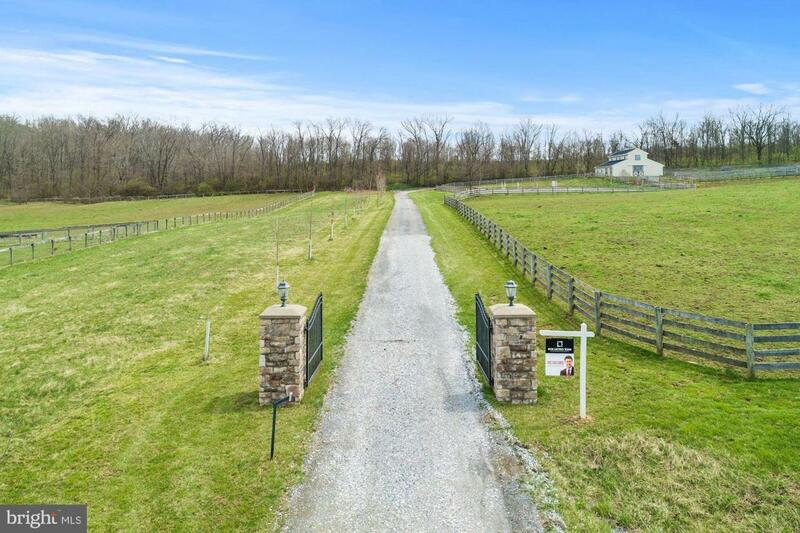 The almost 9 gently rolling acres are mostly fenced with 4-board fencing, and every single detail about the barn and landscaping have been thought out with exceptional care. Trees line the driveway and the paddocks have been designed to connect to each other or be separated as needed. The barn is a jaw-dropper, with full heated tack room with outside entrance, hot/cold wash stall, separate heated feed room, and 5 gorgeous stalls with dutch doors. The arena has excellent drainage and is large enough for a full jump course. The sellers have maintained this property immaculately and developed it for quality, beauty, and functionality. 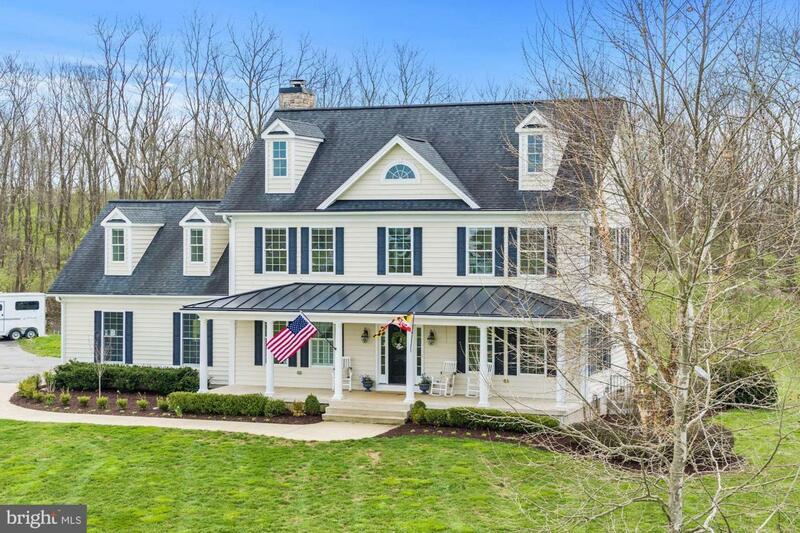 Just minutes from Mt Airy and major commuter routes. The phrase "you should love being home" rings true for every detail of this stunning farm.